Tilburg University is an internationally oriented employer in the Netherlands and we are proud of the diversity that can be found among our staff and students. This diversity creates an exciting international work environment, but also poses challenges sometimes. The use of English as working language is encouraged, as we want to include everyone. All relevant university documents, mail alerts, and news letters are available in English, allowing international staff to participate and helping non-Dutch newcomers to feel at home at once. In order to create excellent support for a diverse international community of academics and students, English language training for support staff is of high quality, easily accessible and sufficient budgets are made available. Tenders are conducted with the interests of our clients (faculty and students) and feasibility for support staff in mind. Quality of service by external providers is continuously monitored and improved. The goal of our university is to deliver high impact and high quality research and teaching and reach out to society. World-class support is key for this. Academics and support staff work together in teams and therefore we organize support services in such a way that all employees can excel in what they do and can grow in their jobs. Good performance is rewarded; those who struggle receive training and support. The university is attractive to top support staff who have the ambition to excel in the services they provide for the benefit of the university and society at large. Well-performing support staff is rewarded and given opportunities to grow. Teaching and research go hand in hand and academic staff is expected to be good at both. Support staff actively contributes in achieving this goal by being knowledgeable about both processes and offering reliable and high-quality service. Sufficient funds for regular training are made available. Service for the primary process is organized in the direct vicinity of the primary process and shaped and formed by demands of the primary process. Harmonization of processes and procedures is not a goal in itself. Harmonization of processes should be initiated in the interest of improving the quality of service and allow for diversification and flexibility if needed. The university actively contributes to the shaping and implementation of best practices in service quality offered on campus. We invest in business process managers who can adequately streamline processes and find the most suitable solutions based on the demands of the clients. 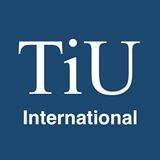 We are in favor of well thought out decisions based on a vision per department and for TiU as a whole with SMART ambitions, goals and targets. We optimally make use of the knowledge that is available on the work floor. Projects for process/service improvements are initiated from the primary process, but always carried out in close cooperation with support staff. Budgetary decisions are made based on transparency and accountability and are instrumental to a long-term sustainable vision of the university, the needs of academics and students and the support services required to achieve this. We create a healthy work environment where support staff can provide the excellent service that is requested. Internal hours made by support staff assigned to specific projects need to be included in the project budgets, so that this does not need to be done “on top of” the regular workload. Colleagues that suffer from long-term illness or that are on maternity leave need to be officially replaced for the time they are away. The university fosters a culture in which feedback is given not only from top to bottom, but also the other way around. Results of the annual organization monitor and other types of feedback lead to concrete action plans for improvement – repeated low performance will have consequences. There is a lot of knowledge and expertise available and it is important that we make use of the potential available. Diversity in teams – in terms of background, gender, nationality and talents – is prioritized. Equal career opportunities do not just exist on paper, but also in practice. We proactively make use of the expertise and ambitions available among our support staff; internal candidates with ambitions and potential are offered chances for growth and serious career development.